Porsche Minneapolis relishes the fact that each and every Porsche vehicle is a performance car – a car made with carefully designed and crafted parts. Fortunately, for Orono and Wayzata drivers, Porsche Minneapolis has plenty of parts specials and coupons to keep your race-inspired machine up to spec. At Porsche Minneapolis, we know that your Porsche Macan or Porsche Cayenne is customizable – and we know that added floor mats, compartment liners, and other parts and accessories make your Porsche that much more yours. So, are you ready to get a great deal? Explore our parts specials, and when you’re ready, contact us online. 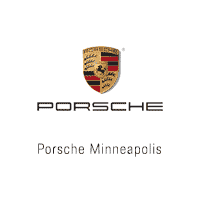 Rely on Porsche Minneapolis for Genuine OEM Porsche Parts! Here at Porsche Minneapolis each and every new Porsche vehicle we sell uses authentic OEM parts. Why do we insist on using such parts? Because aftermarket parts are a compromise on quality. It’s no surprise, then, that the parts featured in our parts specials are authentic OEM Porsche parts. Save yourself the guesswork and get it right the first time: choose Porsche parts. Ready to get started? Contact us today – or order parts from the comfort of your Maple Grove home.